Polar may have a long tradition of making GPS running watches but just like Garmin, it's expanding its fitness empire and its latest addition is the Polar Balance smart scale. 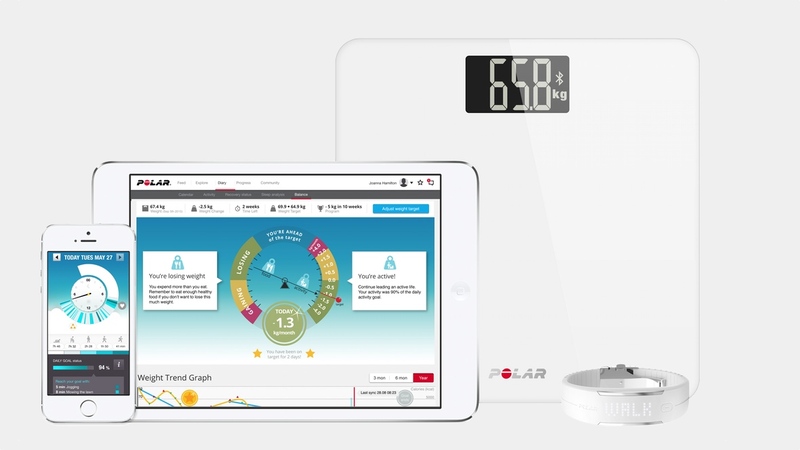 Officially announced at CES 2016, the Balance works as a standalone scale but can also be used with Polar's fitness trackers and sports watches along with its Polar Flow app and web service to closely monitor weight and exercise. It'll send weight readings via Bluetooth to your Polar wearable or the Flow app and will also provide motivational feedback and advice on how to reach your target activity goal for the day or whether to cut back on the calorie intake. This isn't, of course, the first smart scale we've ever seen. Both Withings and Fitbit already have alternatives among others, but Polar is hoping it will have an upper hand thanks to its Polar Flow software. It's hoping features like its Weight Loss Speedometer user interface, which can tell you quickly if you're losing or gaining weight will help it stand out from the crowd. The Polar Balance scale is compatible with the Polar Loop, Loop 2, Loop Crystal, A360, M400 and V800. Up to 10 people can collect their data on a single scale, so it should be more than suitable for a big household of weight watchers. You can grab it today in either black or white and it'll cost you $99.95 or €99.90. You can head over to Polar.com for more details. Wareable is reporting live from Las Vegas this week. Make sure you bookmark our CES 2016 homepage to stay up to date with the latest wearable tech news.